Changing your pierced earrings doesn't have to be a challenge as long as you take measures to make the process safe and sanitary. If you are changing your pierced ears for the first time, don't be tempted to remove the studs, however, until your ears are completely healed. Wait until your piercings are healed before you change earrings. Your piercings should heal between 4 and 6 weeks, reports CNN Health. But if you're unsure, the Association of Professional Piercers, or APP, advises that in addition to making sure the minimum healing time has passed, make sure that your earlobes aren't tender. Secretions should not be coming from the piercing site or crusting around your earlobe. Before handling your ears, the APP stresses the importance of washing your hands with soap and water and working in a clean area. Sterilize your new earrings with alcohol before you put them in, advises GirlsHealth.Gov. Guide the earring post or wire through the piercing site gently. Never try to force it through, says the APP. You can tear the tissue in your earlobe. 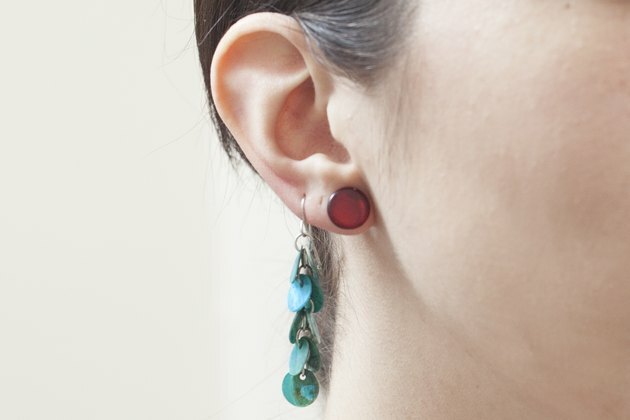 If you've chosen stud earrings, attach the earring backs securely -- but not too tightly. If wearing hoops, guide the wire into the hollow tubing of the earring. It may be helpful to practice fastening and unfastening your new earrings before you put them in so you won't over-manipulate your earlobe. Remove pierced earrings immediately if your earlobes become red, inflamed or itchy. Some people experience an allergic reaction to nickel, says the American Association of Dermatology. If you have a bad reaction to nickel earrings, select earrings made of stainless steel, platinum or gold. Contact your doctor if you suspect your piercing might be infected, says CNN Health. 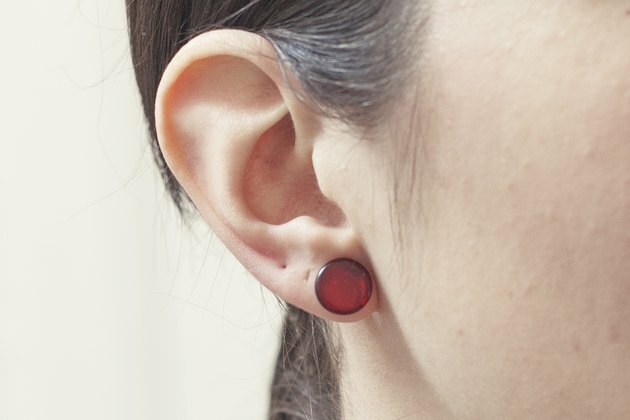 Your earlobe may be red, inflamed and painful to the touch and secrete a thick whitish-yellow fluid called pus. You might also run a fever. If you feel queasy about changing pierced earrings or just can't seem to get the job done, the APP advises that you ask your piercer to help you. How Long Should I Wait to Change My Nose Ring?